Is your AC on the fritz? If your air conditioner is not keeping your house cool, call Dynamic Air & Heating today for Houston AC repair. 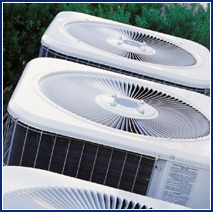 We repair all makes and models of AC units. Whether your system is turning off and on intermittently or it's not cooling your home to the correct temperature, you can rely on our team of dependable technicians to diagnose the problem and repair it right away. Our technicians will come to your home and run a series of diagnostic tests to determine the problem with your air conditioning unit. Our service trucks are fully equipped with an array of parts and tools, so you can count on us to be prepared to repair the problem right away. Prevent AC problems before they develop with air conditioning service in Houston from our HVAC technicians. We offer a yearly maintenance plan that includes a 21-point AC inspection. Want to learn more about our air conditioning service in Houston? Call Dynamic Air & Heating now to schedule a same-day appointment for AC maintenance or repair. We're proud to serve customers throughout the Houston metropolitan area, including the cities of Jersey Village, Katy, Mission Bend, Cinco Ranch, Sugar Land, Cypress, Tomball, Spring and Missouri City.